Mold and Mildew share many characteristics, but they are vastly different in the way they are prevented, treated and removed. To help you sift through all of the information available online and to determine what your questionable substance is in your home we’ve developed this easy to use chart that lists the most common the similarities and differences between the two. Now that you know there is a difference between the two, you can begin to determine if it is truly mold or mildew you’re dealing with in your home. It is also helpful to see that depending on which you are dealing with the problem can be more severe than you had previously thought. Keeping humidity down in the home with the use of a dehumidifier, checking your attic and plumbing for leaks, and taking other precautionary steps to prevent the moist environment from encouraging mold or mildew growth is key. If you have a mildew problem in your home, it usually can be handled by anti-fungal cleaners as the mildew does not penetrate the surface. However, if you have a mold problem in your home, the issue needs to be handled by a professional. We know you may not be able to identify yourself which you are dealing with. That’s where HNST Mold Inspections is going to be your reliable source for personal attention and investigation of the issue in your home. 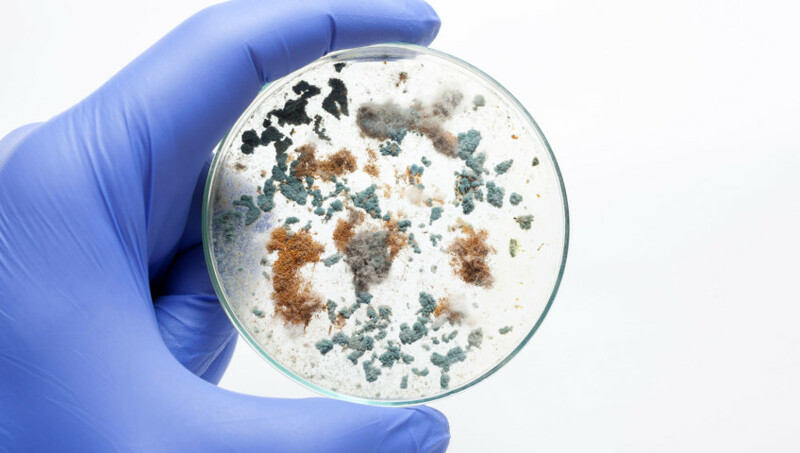 When you deal with HNST you know you will be dealing with someone who has experience determining the difference between the two, guidance on prevention for the future as well as guidance on your next step if a true Mold issue is noted. Give us a call today from New York at (845)-215-9258 or (201)-733-0091 from New Jersey and our owner/operator John Skelly will reach out to schedule your inspection. You’ll deal with John from start to finish and you’ll know definitively what you are dealing with and how to approach it.